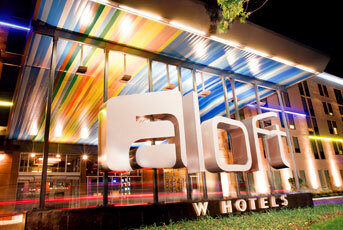 Cincinnati Pride is pleased to offer two host hotel choices for this year's festival - featuring the return of our valued partner The Westin Cincinnati and the new Aloft Newport on the Levee. 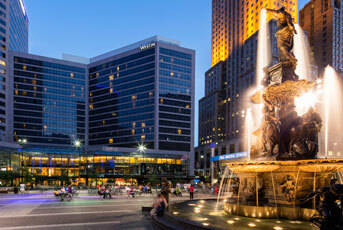 Choose from staying in the heart of Downtown Cincinnati at Fountain Square or across the river with an awesome view of the skyline and a short walk over the Purple People Bridge to the festival! For best results, we recommend contacting your choice via the phone number listed below and request the Cincinnati Pride Block. Hurry, our block of rooms are only guaranteed to be available until May 24th! After that date, availability may vary.